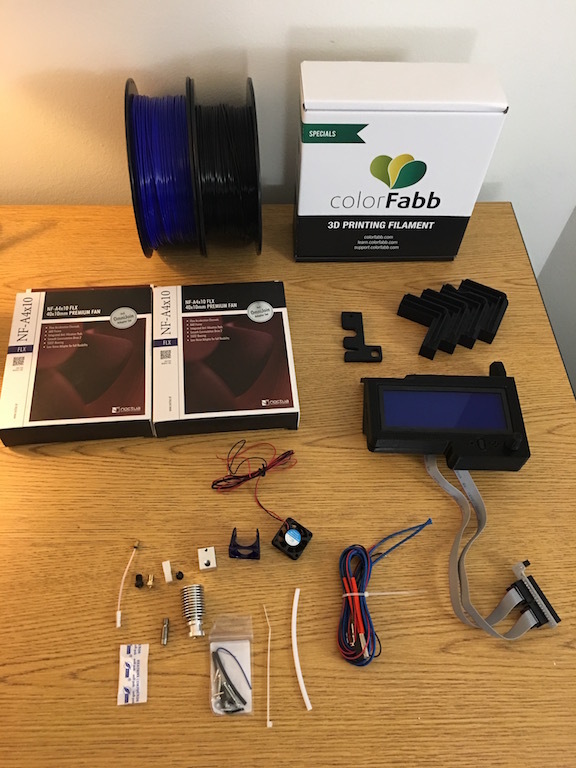 I bought a Robo R1+ 3d printer a few weeks ago, and I also bought all of these accessories. I just returned the printer for a larger one, and most of these I never had a chance to install or use. Everything seen in photo is included. Most of these were purchased from Printed Solid a week ago. XXL Smart Screen - Used for 2 days. includes case and feet i printed, but they aren't good quality. Hatchbox Black Filament PLA - Used about half the spool. Not sure. Price: $ 200 Shipped in Continental US. Payment: Paypal. PM me for questions or details. Feel free to ask any questions you may have. I am an honest seller.